If chocolate lovers needed a reason to celebrate, this is it! Our Double Chocolate Chip cookie is simply divine. 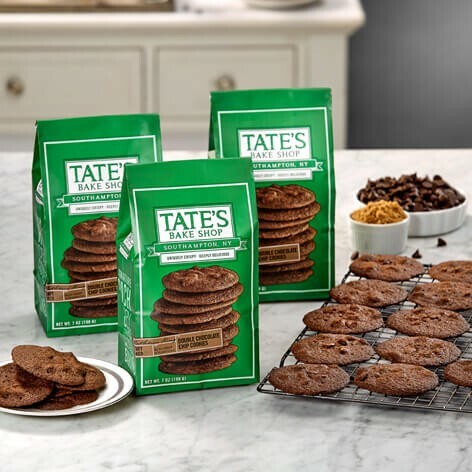 We've loaded tons of semi-sweet chocolate chips inside a fresh-baked, rich, dark chocolate chip cookie. 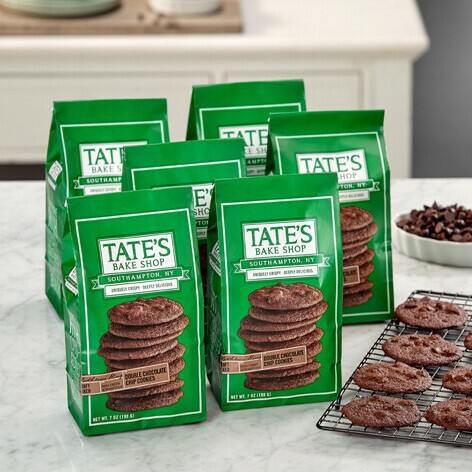 If there's a stairway to chocolate heaven, the steps are sure to be crowded with this cookie! Love the taste of your double chocolate chip cookies. Excellent quality and value. Thank you. These double chocolate chip cookies are simply amazing I love the crunch and they're not overly sweet. They taste delicious! Rich dark chocolate not too sweet! Crisp and delicious double chocolate cookies -- and I used to be a fan only of soft cookies! I hope I can find stores close to me that carry all of your flavors.